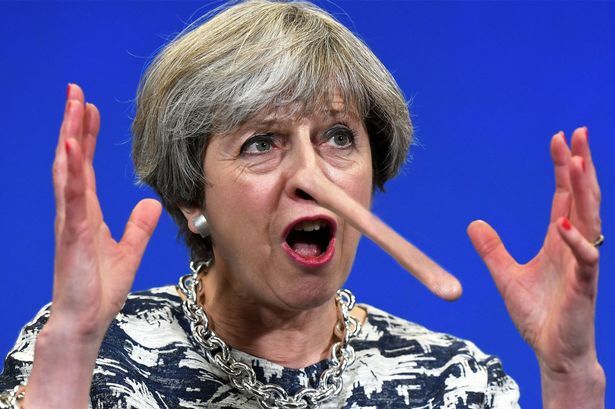 Those of us who tune in to Prime Minister’s Questions religiously know the experience can be like Purgatory most weeks – especially when Theresa May resorts to a regularly-trotted-out litany. Yesterday, she was crowing about the just-announced seasonal fall in unemployment as though it meant something. It didn’t – and it doesn’t. But This Writer pointed out yesterday (September 13) that the rising number of zero-hours contracts means people can be employed for extremely short periods every week – and still be bumped off the benefit books. That’s why productivity isn’t up. In addition, the fact that people aren’t getting paid enough is the reason tax revenues are down, the government isn’t paying off its debts and there are no money for services (along with the fact that the very rich and huge corporations are being let off paying their taxes altogether because they and Tory ministers are “all in it together”). Perhaps Mrs May thought she’d get away with this nonsense. She hasn’t. Don't listen to the government and the media on unemployment. If our media had any decency it would call 'falling unemployment' what it really is, rising in-work poverty. Fall in unemployment = more people have been sanctioned. That would be my first impression, too.